AngularJS, the open source library that everyone could contribute to will now have a sequel in the form of AngularJS 2.x. 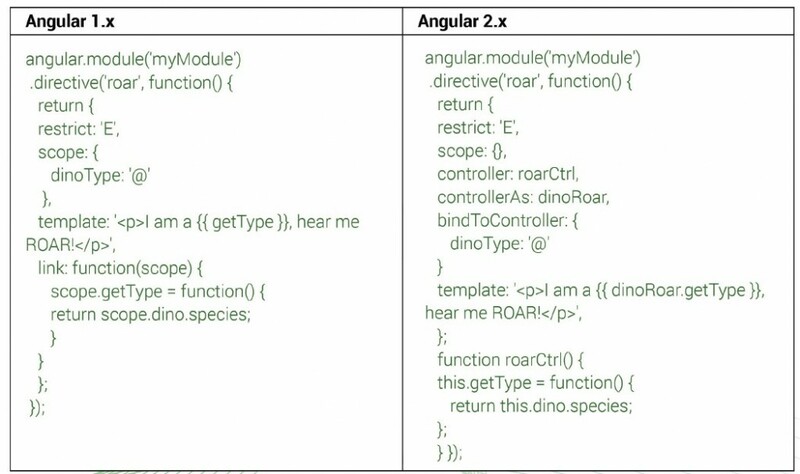 The lion’s share of contribution in the development of AngularJS is courtesy of Google employees which in a way makes AngularJS, a project of Google. 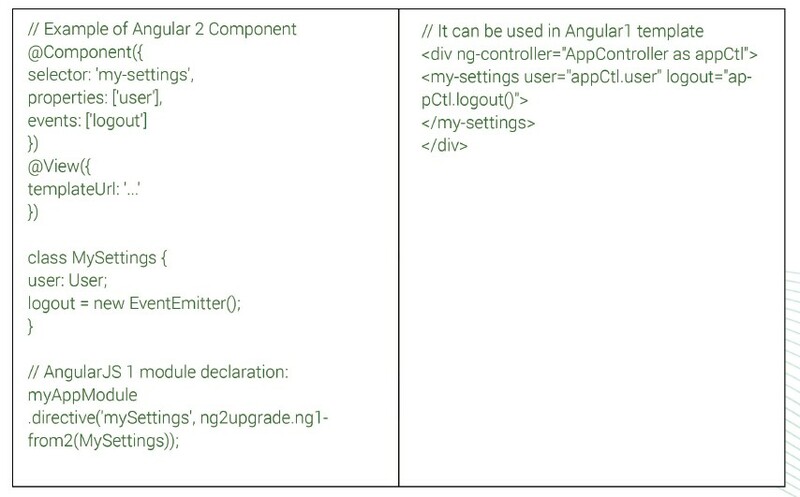 When AngularJS 2 was first rolled out with the information that 2.x wouldn’t be compatible with AngularJS 1.x, it created a huge havoc in theglobal developer community. Developers complained that this incompatibility would result in numerous hurdles that would be very difficult to deal with. Google, exercising their famed prudence and troubleshooting policy, announced that there would be a few intermediary releases (1.5x) that would pave the way to facilitate a hassle free roll out of the 2.x branch. This consolation however could not calm the nerves of developers. Let’s have a look at what does Angular 2.x contain and what could be some of the steps to be taken to migrate from Angular 1.x to 2.x (that many devs are discussing). 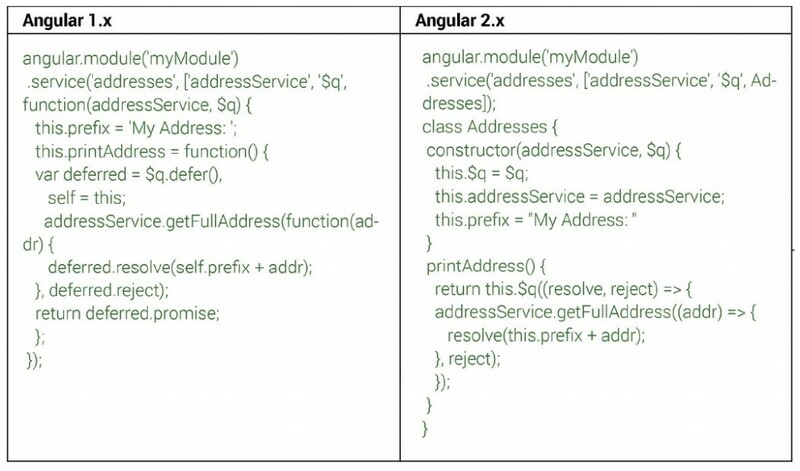 The Big Question: Angular 2 doesn’t support 2­way bindings. How to handle this scenario? Most services should require minimal to no change. (optionally) re­export the service into Angular 1 using ng­upgrade if it’s still used by other parts of your Angular 1 code. 5. Once no more services/components need to be converted drop the top level Angular 1 bootstrap and replace with Angular 2 bootstrap. 2. Stay away from $scope.